Find out which one is higher—amount computed in Step-1 or Step-2. From the gross annual value computed in step I, deduct municipal tax actually paid by the owner during the previous year. The balance shall be the net annual value which, as per Income-tax Act., is the annual value. House property which is let throughout the previous year. House property which is let and was vacant during the whole or any part of the previous year. House property which is part of the year let and part of the year self-occupied. House property which is self-occupied for residential purposes or could not actually be self occupied owing to employment at any other place. (A) Annual Value for House Property which is Let throughout the Previous Year. (b) Actual rent received or receivable. To conclude : First step is to calculate the Gross Annual Value which will be higher of Municipal Value or Fair Rental Value, but it cannot exceed the standard rent. However if the actual rent received or receivable exceeds such amount then the actual rent so received/receivable shall be the Gross Annual Value. Compute the Gross Annual Value of the above Houses. In case of House-III, the Standard Rent will not be considered because it is more than the maximum of other Two factors. these have been actually paid during the previous year. Municipal taxes, etc. due but not paid shall not be allowed as deduction. However, municipal taxes, etc. paid during the previous year are allowable even if they relate to past years or future years. The deduction of municipal taxes for future years shall be allowed if the assessee follows cash system of accounting. 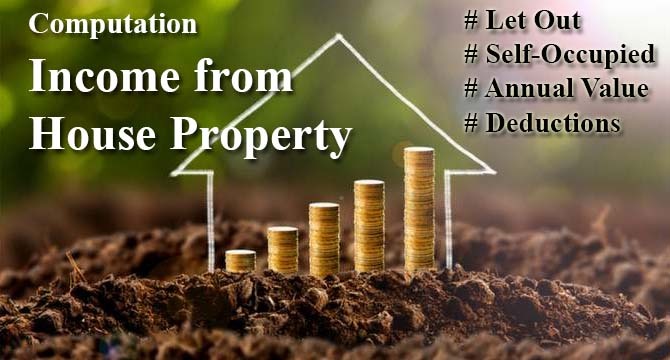 Even where the property is situated outside the country, taxes levied by local authority in that country are deductible in deciding the annual value of the property. 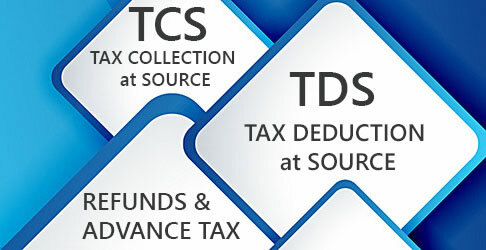 The value arrived at after deducting the municipal taxes, if any, may be referred to as the Net Annual Value (Annual value as per Income-tax Act). 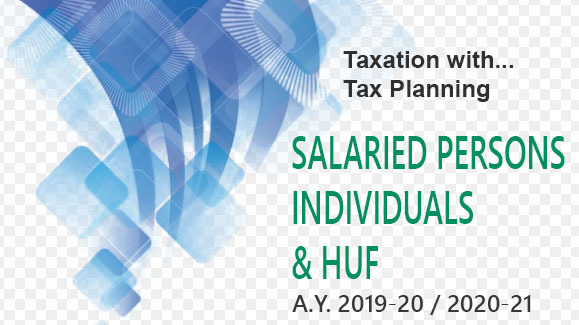 From such net annual value, deductions as permissible u/s 24(a) & (b) are allowed and the balance is the income under the head 'Income from house property'. 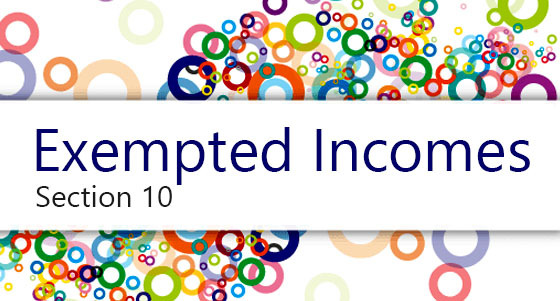 Situation-1 : Where the property is let and was vacant for part of the year and the actual rent received or receivable is more than the sum determined under clause (a) in spite of vacancy period. Situation 2 : Where the property is let and was vacant for whole or part of the year and the actual rent received or receivable owing to such vacancy is less than the sum determined under clause (a). In this case, both clause (a) and clause (b) shall not be applicable but clause (c) shall be applicable and the Gross Annual Value shall be the actual rent received or receivable. Where a house property is, part of the year let and part of the year occupied for own residence, its annual value shall be determined as per the provisions of section 23(1) relating to let out property. In this case, the period of occupation of property for own residence shall be irrelevant and the annual value of such house property shall be determined as if it is let for part of the year. Hence, the expected rent as per section 23(1)(a) shall be taken for full year but the actual rent received or receivable shall be taken only for the period let and the gross annual value shall be higher of these two. 1. Only one House under own Occupation. Annual value is taken as nil. 2. More than one house under own occupation. Annual value of one house is taken as NIL and other house/houses are deemed to be let. 3. House Property consists of various independent units and one is under own occupation and others are let out. Annual value of one unit is taken as NIL and other unit/units are treated as let out. if units are separable, each unit or part is to be treated as a separate house and it shall get respective treatment. 5. House property is let out for part of the year and under own occupation for part of the year. Wholeproperty is treated as let out house property and no benefit of self- occupancy shall be allowed. But actual rent is taken only for number of months house , property is actually let out. As such it gets the same treatment as is for unrealised rent.